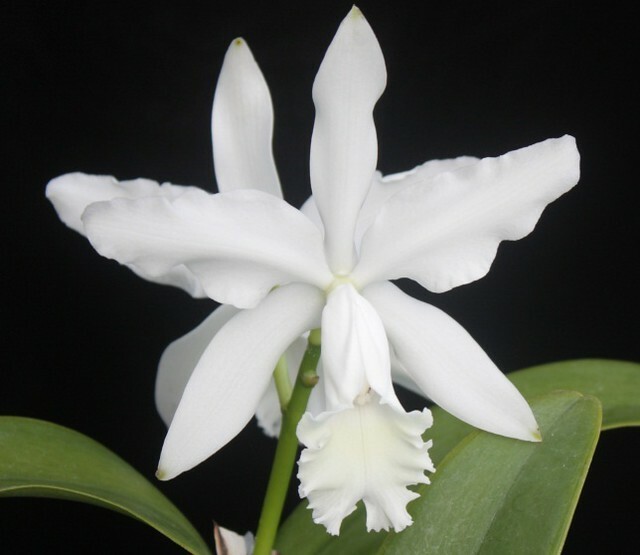 Editor’s note: Today’s blog comes to us from John Stubbing of the Houston Orchid Society. Have you ever thought of growing your own orchid corsage? There are plenty of reasons to take up growing these exotic and beautiful plants as a hobby. Not only do many species have large and colorful flowers, but many orchids are also fragrant! For example, many of the large-flowered Cattleya types (the ones typically used in corsages) have wonderful, sweet fragrances that can fill a house — so romantic. Unfortunately, the blooms lose their fragrance when cut, so the recipient of a corsage doesn’t experience the full joy of these flowers. Some 80 years ago, in the middle half of the 20th century, these corsage flowers were cut mostly from species orchids. Collectors harvested entire orchid plants from the wild in the rainforests of Central and South America, where Cattleyas are native, and shipped them to the United States and Europe. There, commercial growers would cultivate the plants until they flowered. Once the flowers were cut and sent to the florist, the plants would be discarded. Starting in the 1930s, growers began to experiment with “man-made” hybrid orchids to use in the cut flower trade. Not only were they able to create unusual flower shapes and colors, growers also learned to regulate the flowering time of both species and hybrids to match florists’ needs. For example, a large crop of flowers in perfect condition for sale a week after Mother’s Day or Easter would be a disaster for the grower. Manipulating the orchids’ bloom time gave growers the ability to provide cut flowers to the florist trade for all the major holidays throughout the year. 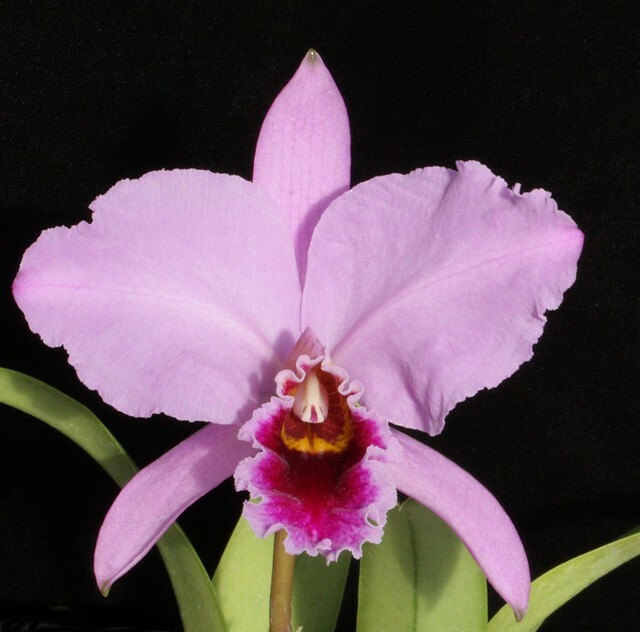 For over nearly two centuries, growers have hybridized Cattleya species with other orchid genera to increase the number of flowers and widen the color range. Now we have Cattleya-type flowers ranging from blue to yellow to green to red, in addition to the traditional whites, pinks and lavenders. Many of these complex hybrids bloom several times per year, whereas most of the original large flowered corsage types bloom only once a year. 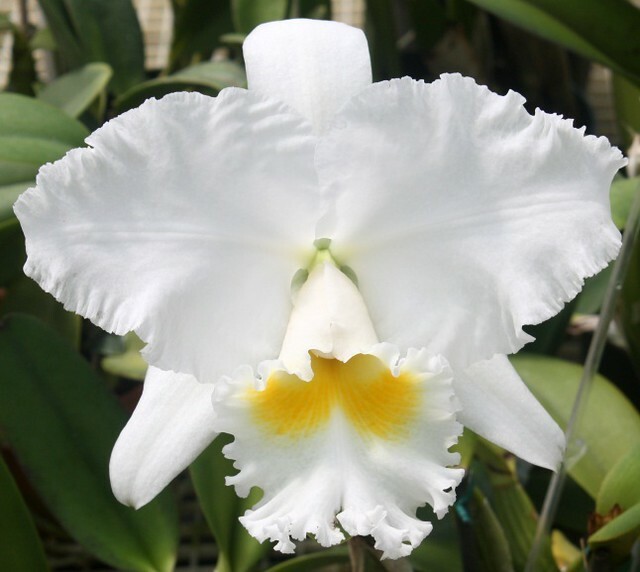 Many Cattleya orchids, whether species or hybrids, can be grown outdoors in medium-bright sun in Houston, when temperatures are above 40 degrees. At lower temperatures, they need to be moved inside. They also can be grown indoors year-round in bright windows or under bright lights. 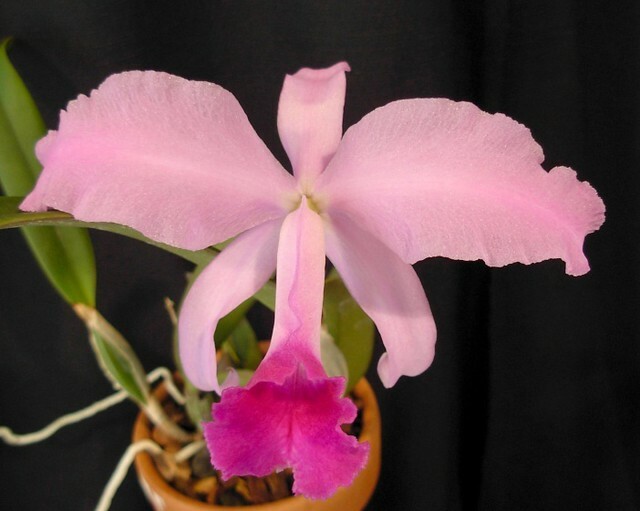 Depending on the species make-up, the large-flowered Cattleya types will usually bloom the same month each year. The plants can be moved into the house to enjoy the flowers and then returned outside for better growth. You can obtain additional care instructions at the Houston Orchid Society meetings held monthly at the Houston Garden Center. Also, written care sheets are available on the American Orchid Society page here. Cattleya Nancy Off ‘Linwood’ AM/AOS, with 6-inch flowers, usually blooms in the spring. From distinguished lecturers to scientific scholars to visiting curators to volunteers to leaders in their respective fields, we often invite guest authors to contribute content to our blog. You'll find a wealth of information written by these fascinating individuals as we seek to expand your level of knowledge with every post. Weird And Unexpected Pollinators Who Help Keep Our World’s Ecosystems Going!